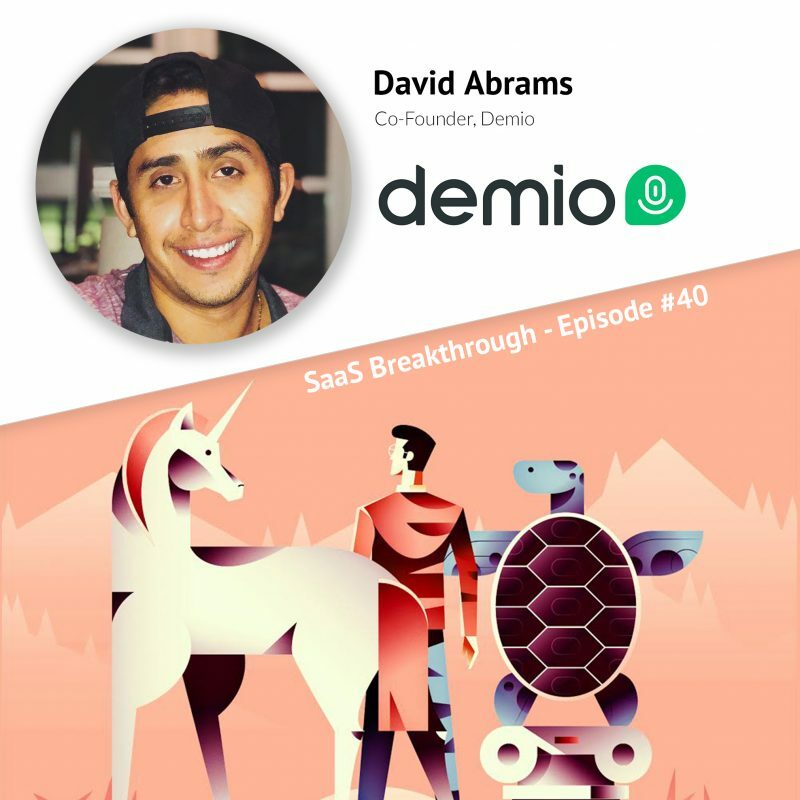 Welcome to this special SaaS Breakthrough episode with our host, David Abrams, going Inside Demio’s Journey and then covering the Top Lessons from attending SaaStock 2018 in Dublin and the future for SaaS companies and SaaS marketing. In this episode we go behind-the-scenes of the release of one of the biggest features ever at Demio – Automated Webinars and cover the launch strategy, what worked well and the lessons taken from it. 1) FOCUS – You have to be focus in customer segment and use case to start your SaaS. What are you key differentiators or where do you want to start? What can you do that’s unscalable to prove this? How can you validate this? 2) USER CHURN – Anything above 5% user churn will be absolutely crushing to your business or funding journey. 3) NUMBERS FOR INVESTORS – Many Traditional Investors are looking for 20% MoM growth rate ad infinum. Churn and a lack of a solidified inbound/outbound marketing process may make it really tough to find great investors interested in the long game. 4) BRANDING – It’s never too early to focus on your Brand! Got any questions about these lessons? Leave it below on the comments and I will happily answer it.